Recent and current college students will know what it is like to cram for an important exam only to stumble upon material they have not previously studied for. No matter how much you try to absorb this material, it feels strange and foreign, and you hope it doesn't actually show up on the test. 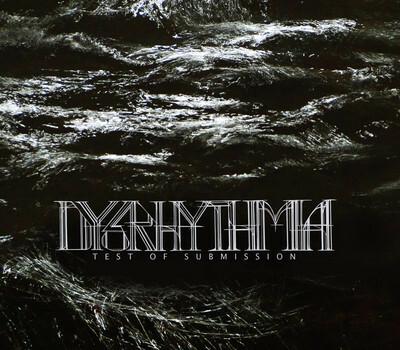 Dysrhythmia's most recent album is a similar test for listeners. Indeed it takes an unusually varied and advanced musical taste to appreciate the work of Dysrhythmia. It is challenging music to listen to, perhaps more challenging than spelling the band's name. This is a Philadelphia-based instrumental metal band with the ever-talented Kevin Hufnagel at the helm. Hufnagel self-releases experimental and ambient solo albums occasionally, and much of the work on those discs is riveting guitar-based music. Hufnagel is also a guitarist for technical death metal group Gorguts. Dysrhythmia captures that essence in spades. Throughout this eight-track album, both the tension behind the riffing and drumming changes to dictate the shifting tempo of the music. With this style of metal, vocals are an unnecessary albatross to the progression of the music, only serving to hamper the feeling it displays. This band is similar to Animals as Leaders, but with a less prevalent leaning towards jazz-fusion passages. The focus of this music is obviously Hufnagel's guitar wizardly, complete with otherworldly leads and furious shredding alongside complex metal drumming. The purpose of the drumming and the shredding is not to produce rhythm, but to shun it. In this regard, the band's name is a perfect reflection on the style of music they play. I was neither impressed nor disappointed in this disc. It was a good listen that will certainly earn it a regular place in the rotation, but not something I would listen to over and over again. If you are in the market for an unusual listening experience bordering between metal insanity and jazz-fusion textures, then there is a good chance you will like this disc. If you are a fan of Animals as Leaders, check this out. We've got the full album stream via soundcloud here for you today. Sorry that we could not find an embed. Thanks for reading and enjoy!